Since the sets of scroll paintings were separated in the late 19th century, Jakuchu’s Sakyamuni Triptych and the Colourful Realm of Living Beings, had only been viewable together on two occasions: in 2007 at Shokokuji’s Jotenkaku Museum, and in 2012 at the National Gallery of Art, Washington. Over the past month, the Japanese public was afforded another opportunity to view the paintings at a Tokyo Metropolitan Art Museum exhibition: The 300th Anniversary of his Birth: Jakuchu. The show’s success was manifest in queue times that averaged three to four hours, peaking at over 5 hours, and the museum abandoning its usual closing times to allow visitors a chance to view the works. In the main display room, the Buddhist triptych was centrally displayed with the 30 paintings of the Colourful Realm flanking them in circular display. From the centre of the room, one could view the paintings simultaneously, allowing one to see them as a single conceptualization. In its totality, the display symbolised the promise of Sakyamuni Buddha that all life will, in time, reach enlightenment. The Buddhist triptych shows the Buddha Sakyamuni flanked on one side by Manjushri (Monju), the Bodhisattva of wisdom and awareness, seated on a lion, and Samantabhadra (Fugen), the Bodhisattva of universal virtue, seated on an elephant. Surrounded by the Colourful Realm works, Jakuchu’s paintings of the deities appear to be conservative. It is as if he felt a stronger need to honour past traditions on the subject than he did with his bird and flower works. In the Colourful Realm, his dynamic and inventive representations of the natural world almost defy imagination. They show insects, birds, and freshwater and marine creatures together with gorgeous flowers and plants, painted in rich pigments on silk. The realistic detail and mesmerising compositions border on the divine. 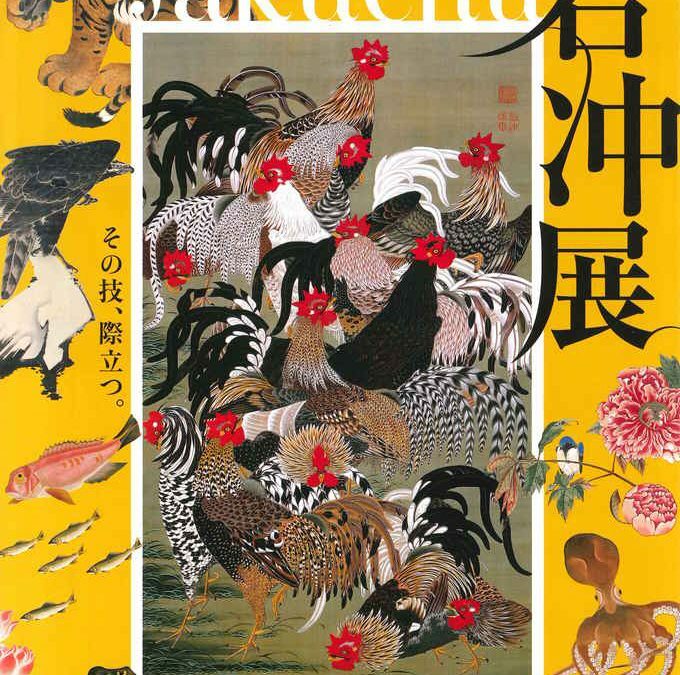 Created over approximately 10 years (c. 1757–1766), Jakuchū’s Colorful Realm of Living Beings is rightfully acknowledged as one of the greatest achievements in the history of Japanese bird and flower paintings. Though some of the work’s earlier scrolls follow more conventional painting traditions (in subject matter and composition), they become increasingly fantastical—representing the natural world with previously unknown innovation and imagination. In his lifetime Jakuchu was highly esteemed. In Kyoto painting circles, he was second in fame only to Maruyama Okyo. Okyo surrounded himself with students and followers, establishing a long line of disciples who carried his style late into the 19th century. In contrast, Jakuchu was known as a man who painted for his own pleasure, going so far as to name his studio ‘Dokurakuka’, which translates to ‘solitary pleasure nest’. Though he had few known students or followers, the profusion of ink works on paper produced toward the end of his life led many to speculate that Jakuchu was not working independently at that stage. After his death, his distinct painting style was quickly forgotten. In 1889, almost 100 years after his death, his genius regained appreciation when the 30 Colourful Realm paintings were transferred to the Imperial Household Agency for the then almost unimaginable sum of 10,000 yen. This set, along with the Sakyamuni Triad, were gifted by Jakuchu to Kyoto’s Shokoku-ji temple in 1765. The paintings, in various numbers and configurations, were exhibited sporadically in the early 20th century and even published in a deluxe edition monochrome catalogue titled Gyobutsu dosyokusaie seiei. Despite these efforts, Jakuchu’s paintings remained largely outside of public thought. The recent Jakuchu boom was ignited by an exhibition held in 2000 at the Kyoto National Museum commemorating the 200th anniversary of his death. The exhibition was well-received by the public and appreciation of his work spread domestically and abroad. In the coming months, a further three major exhibitions featuring his work will be held at various Kyoto museums.